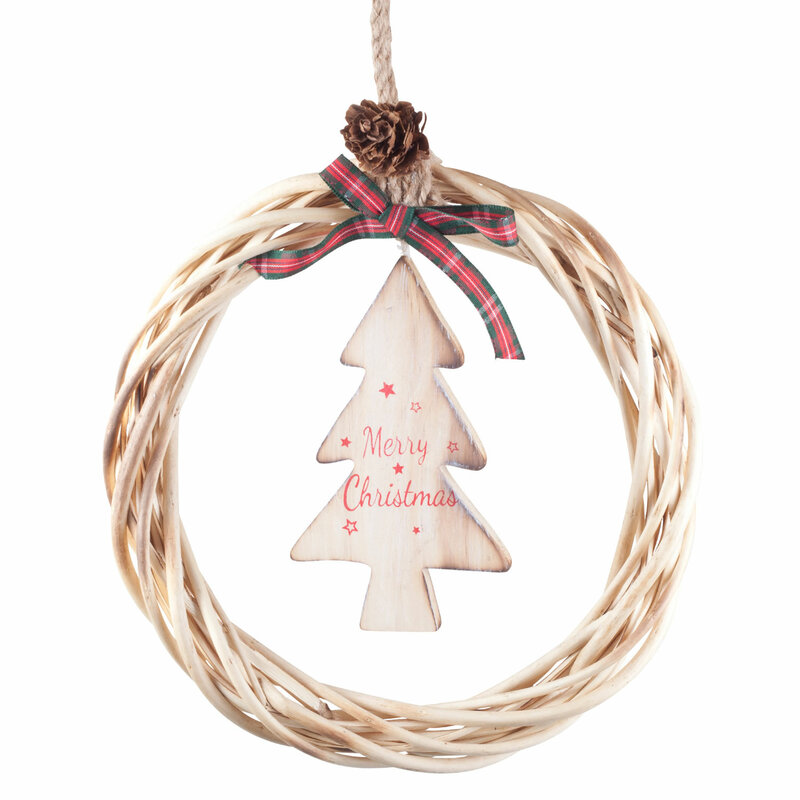 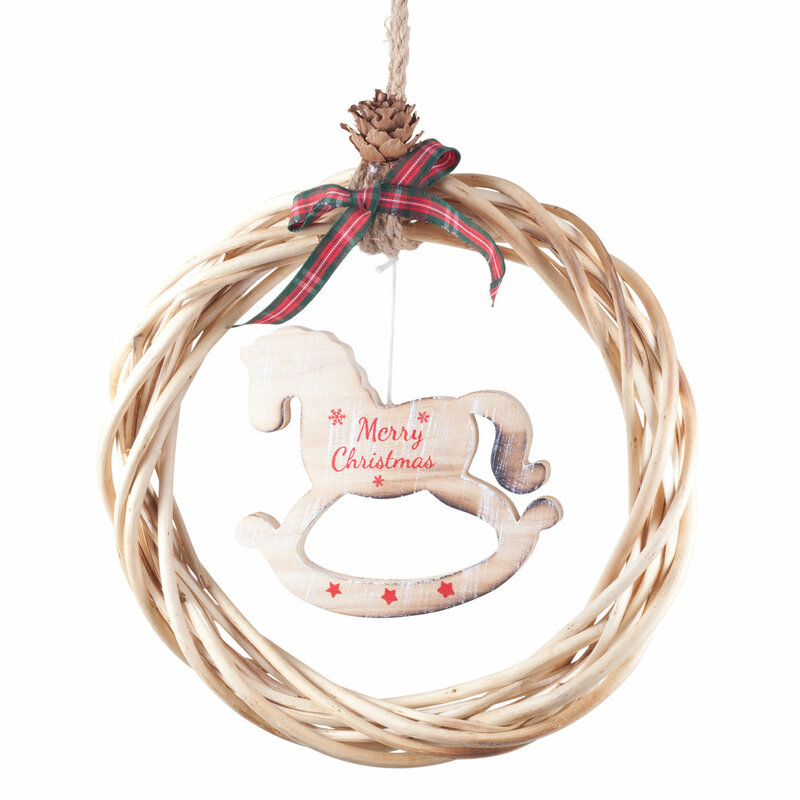 A stylish set of two Christmas wreath ornaments made from wicker with central dangly tree and rocking horse. 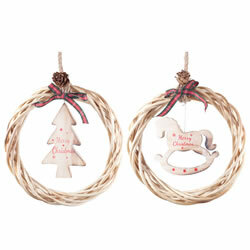 One of each included, both 21cm in diameter (excluding the jute string hangers). Ideal for a rustic and traditional theme.